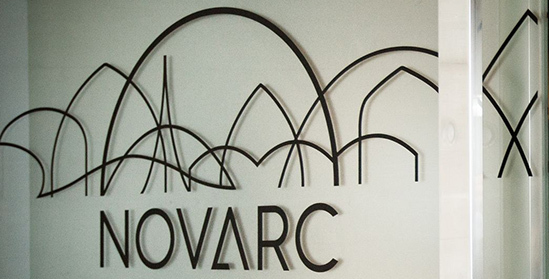 Novarc is an architectural and consulting engineering company active for 25 years. We started in 1990 under the name of EA Reng. Over the years we have made it to the top of our field in Estonia. We have always stood for innovative, economic and environmentally friendly construction. The name Novarc represents our ambition to bring construction, one of the leading fields of economy, to the path of innovation and introduce model-based (i.e. based on BIM technology) collaboration between all parties involved in a project. We have grown more versatile than a standard design company. We are architects, engineers and consultants. In the construction of buildings we give priority to functionality. The buildings must be as man- and environmentally friendly as possible in the first place, later shaped into aesthetic volume. We seek best user experience of a building throughout its life cycle: in addition to aesthetics there is functionality, economy, environmental and energy saving along with overall benefit and satisfaction. Over ten years we have had activity on external markets. First eastward, with the aim of introducing European way of thought. Further we also turned westward, offering competitive BIM-based products and services. Today we have offices in Norway, Finland and Sweden. We add local competence to our services to make our export a success. Novarc employs 65 specialists, has offices in four countries and has realised over 1000 assignments. EA Reng tegi läbi põhjaliku identiteedimuutuse ning tegutseb nüüd uue nime all Novarc. Koos sisemise arenguga on astutud oluline samm ka väliselt. Nimi Novarc sümboliseerib ambitsiooni viia ehitus kui oluline majandusvaldkond innovatsiooni teele ning võtta kasutusele kõigi osapoolte koostööd toetavad tehnoloogiad.